rubicon4wheeler: Trash on the Trail - Pick it up! Accidental littering still happens, and there will always be "bad apples" who leave trash behind, so trail trash will always be a reality. 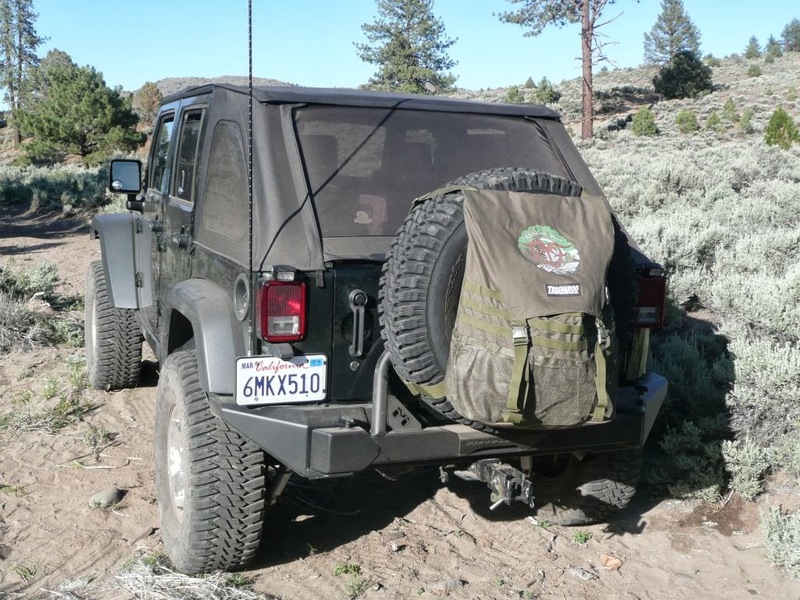 Unfortunately, trail litter is some of the ammo that the anti-access people use to get public lands closed to everyone but hikers, so we must remain vigilant about keeping our trails clean. I continue the tradition I was taught as a Boy Scout to always leave any campsite or trail spotless, no matter how messy it might have been before my arrival. I keep two bags in my Trasharoo (one for recycle materials, the other for trash) and I never pass by any trash I spot in camp or on the trail. NO ONE who comes to this forum can claim ignorance. Facts are we have been resting on OUR Laurels. Education never stops. EVER. We all have to continue to pull together to keep the trail clean, in good shape, and functioning. I had a friend tonight (MC guy) complain to me about his cohorts. 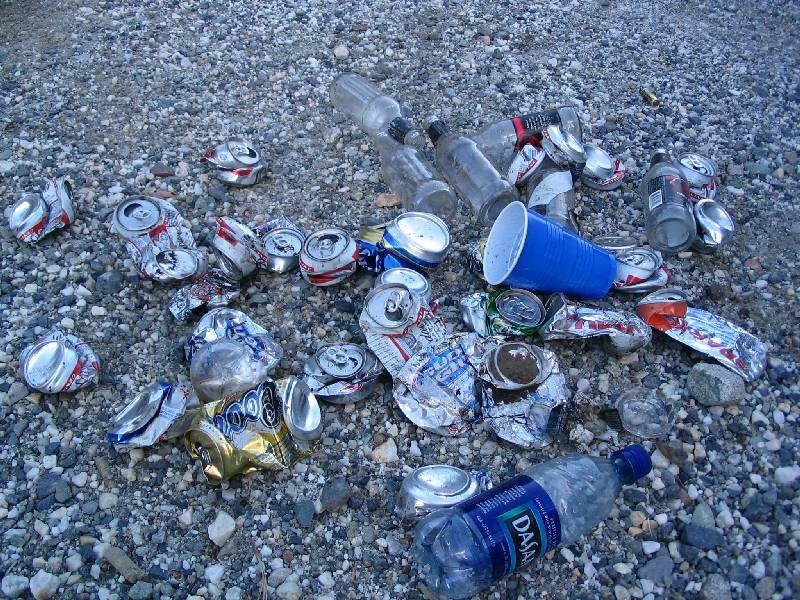 How the trails were looking trashed. I've always said - "It's like being a Mom (or Dad), and mopping the kitchen floor. You scrub that floor, pay particular attention to the corners, under the cabinets, you pull out your good, HD floor cleaner tech and kick some azz on that dirt. You take a moment to stand back and admire your work, it looks clean and sparkly, 10 seconds later the boys come in from outside, spend 5 minutes getting a snack and heading to the living room to play video rock crawling. You turn around after the very brief whirlwind of activity is over, your kitchen floor is TRASHED". What do you do? Do you go online and air the very same dirty laundry that everyone else in this world experiences, or do you pick up your mop and DO IT AGAIN? My point is - even if you spent the time to educate your torrid teens/pre-teens, you're never going to stop needing to MOP THE FLOOR. It needs to be done daily whether you think so or not. Regular attention needs to be paid to all our trails. ALL OF THEM. Like I also said to my MC friend, you don't clean/maintain that trail for only yourself, you do it for the dumb jerks who you didn't get to educate, you do it for the criminals, and you do it for the responsible folks. You just do it because YOU want to ride again. Please let's take the narcissism out of why we do what we do and JUST DO IT. Great words. I don't have a Trasharoo but think that is an addition that would look great on my Jeep! Why don't local government install trash cans on public tourist areas so people can keep the area clean and use the trash cans. Furniture removal is a part of junk or garbage removal and renovating your home project. But old upholstery furniture can be easily repaired and reupholstered from the local upholstery shop.